When we’re not scouting out lovely ideas for Hamdmade Living, there is nothing better we like doing putting our feet up and reading Country Living magazine! 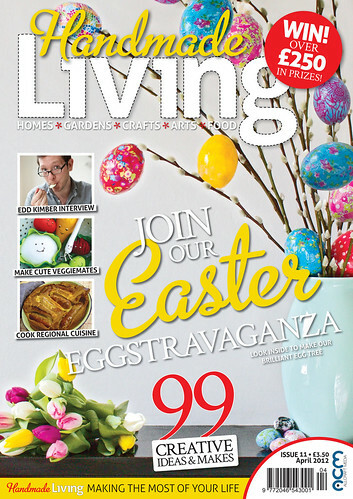 We’re really pleased to be able to offer three lucky readers a pair of tickets each to the Country Living Spring Fair. Taking place at the Business Design Centre in London between 21st and 25th of March, it heralds the start of the spring and looks forward to the sunny days of summer and all the associated activities like picnics and sporting occasions. In addition to the 400 exhibitors presenting a host of ideas for Easter you are unlikely to find on the high street, there are demonstrations and hands-on craft workshops. The food hall celebrates the UK’s finest food producers and their regional specialities, with opportunities for tasting too. The beautiful spring garden provides green fingered visitors with lots of inspiration for planning and planting, with experts only a trowel-tip away for advice. There’s lots of scope for personal pampering too, with clothing for every occasion from a sports day to a picnic; jewellery and silversmithing designs influenced by nature and sensuous handmade soaps and perfumes. 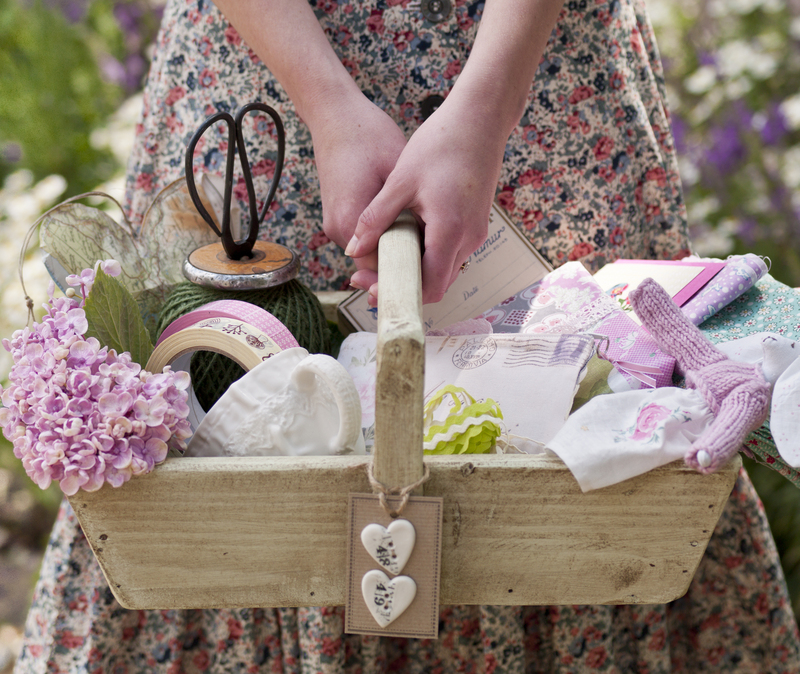 With so much to see and do, a visit to the Country Living Magazine Spring Fair is a day to remember. To be in with a chance of winning – just leave a comment about your favourite craft by Friday 24th February and we’ll pick the winner’s names out of the hat! Good luck! Dressmaking – pretty fabric and a pretty pattern and I’m a gonna!! I love all paper crafts! My fav thing at the moment is making cards using just paper and glue. Oh gosh, I indulge in several crafts – making preserves and beverages from things I grow, patchwork and quilting, making my own cards and papercrafting, making things in beeswax from candles to cosmetics from my bees, and making jewellery from silver and semi precious gems. So hard to choose which I love best – so I will go with what has me most creatively involved at the moment, and that would be jewellery making. Ohh wow!! Sounds great!! Would love to win.. My favorite craft?? Umm.. So many, but love paper cafts the most, I think.. Although I’m not great, I love to knit. It brings back happy memories of my now departed Mum. She was an amazing knitter and I swear she still knitted as she nodded off in her chair every evening…needles clicking but eyelids shut! Crochet, it is quick and easy to transport. Knitting with huge needles and chunky wool! I started with cross stitch and love it! However, since finding I can sew with the sewing machine, a whole new world has opened up for me! I like to make all things beautiful. So at this moment in time I would have to say, if I see something beautiful to sew, either by hand or machine, I’ll make it!